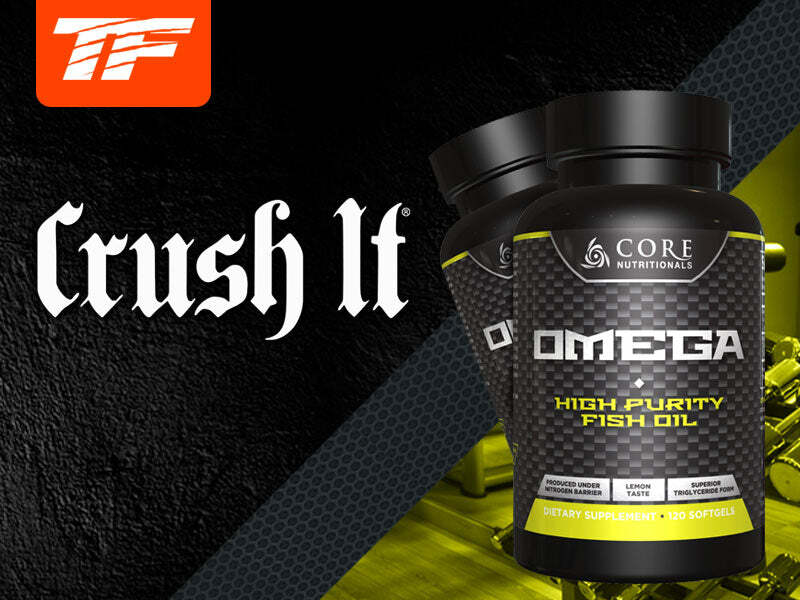 Core Omega is a fish oil supplement, the Core way. What does that mean? Well, it means carefully selecting a fish oil manufacturer for our product that produces its fish oils under the all important nitrogen barrier – a manufacturing technique that greatly reduces the chance for oxidation, significantly expands the product’s effective shelf life, and all but eliminates any “fish” taste or smell from the oil. It also means ensuring that our fish oil product contains high levels of the all-important DHA and EPA, with 480mg and 720mg respectively in each serving. Lastly, it means using the purified triglyceride form, rather than the more common ethyl esters. INGREDIENTS:Purified triglyceride form fish oil (from anchovies, sardines, and mackerels) manufactured under a nitrogen barrier for oxidation prevention, softgel capsule (bovine gelatin, purified water, glycerin), lemon oil. Take 2 softgels daily, with food. For enhanced support, take 2 softgels with food twice daily.